I've always been of the opinion that winning a preliminary final is harder than winning a Grand Final. At this time of year every player is tired and every player is sore, but every player knows that if they can get through the next 80 minutes and get a win then they'll get the chance to live out their childhood dream. Playing in and potentially winning a Grand Final. If there's one thing we've learnt in 2018 it's that no result is a certainty and no game is won until the full time whistle is blown. 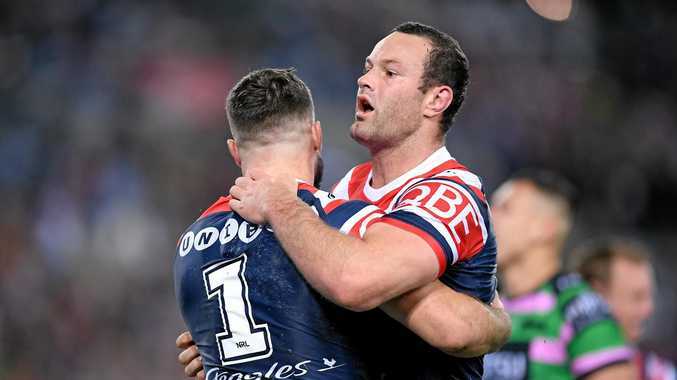 What we've learnt: It feels like an age ago that the Roosters beat the Sharks in week one of the finals. The Roosters found themselves behind twice in that match, but when the game was on the line they grabbed it by the scruff of the neck. Strengths: The Roosters' outside backs have been outstanding this year. Blake Ferguson topped the list for metres gained this season and has been brilliant in helping the Roosters out of their own end. James Tedesco has also been a standout. He can break a game open from anywhere on the paddock. Weakness: The Roosters go into this game with two of their best players, Latrell Mitchell and Dylan Napa, on the sidelines suspended. Mitchell has the ability to change the course of the game in the blink of an eye. Napa has been the Roosters' enforcer over the past couple of seasons and when you're coming up against the Burgess brothers you need all hands on deck in the engine room. Key man: Brought to the Roosters to win a premiership, Cooper Cronk is one step away from getting the chance to achieve that. He is such a steadying influence on his teammates. He never gets flustered and when the pressure valve is turned up he gets better. 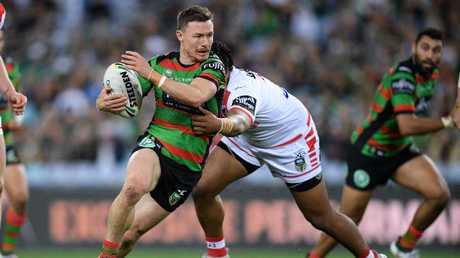 What we've learnt: The Rabbitohs showed plenty of resilience in both their finals, losing the first by a point and winning the second by the same margin. Their win over the Dragons last weekend wasn't pretty but they ground it out and showed the mental steel you need to win a premiership. Strengths: Souths have one of the best forward packs in the comp. With George and Tom Burgess in the front row and Sam Burgess, John Sutton and Angus Crichton in the back row, they've got a pack capable or ripping any team apart. If they get on the front foot, look out for Damien Cook. He is the quickest dummy-half in the business and doesn't need an invitation to run. His second half against the Dragons last week was super. Weakness: The Bunnies' left-side defence was found wanting against the Storm in week one of the finals, leaking three tries. The Bunnies were better down that side against the Dragons, but will need to improve again against the Roosters. Souths will also need to improve their discipline. They gave away several silly penalties against the Dragons and came up with a number of crucial errors coming out of their own end. Key man: Greg Inglis is a fantastic player with a stack of talent, but his infectious attitude is his most important attribute. When GI is on there's few more influential players in the game. When the Bunnies were on the ropes last week, GI came from the left-hand side of the field over to the right to make a big tackle. Those little things give teammates around him a boost. Prediction: This one is a toss of a coin. The Roosters will be well rested after a week off while Souths are coming in battle-hardened after a gruelling win over the Dragons. If the South Sydney pack can lay a solid platform, I feel the Bunnies' spine of Adam Reynolds, Cody Walker and Cook will have too many points for the Roosters. Souths by six.